Do you wish your 10-year-old would read more? It’s a big deal when your child turns 10. You may find that the products you turned to before are no longer suitable. When it comes to reading, how do you make sure that your child has books that are right for them? Here’s everything you need to know about buying books for your big kid. I’ve even thrown in a list of recommendations for the best books for 10-year-olds, so book shopping won’t be a pain. Which Books Are Age-Appropriate for 10-Year-Olds? As children transition into their tweens, they’ll develop a specific set of reading skills and behaviors (source). You’ll want to make sure that the books you give them encourage their development. 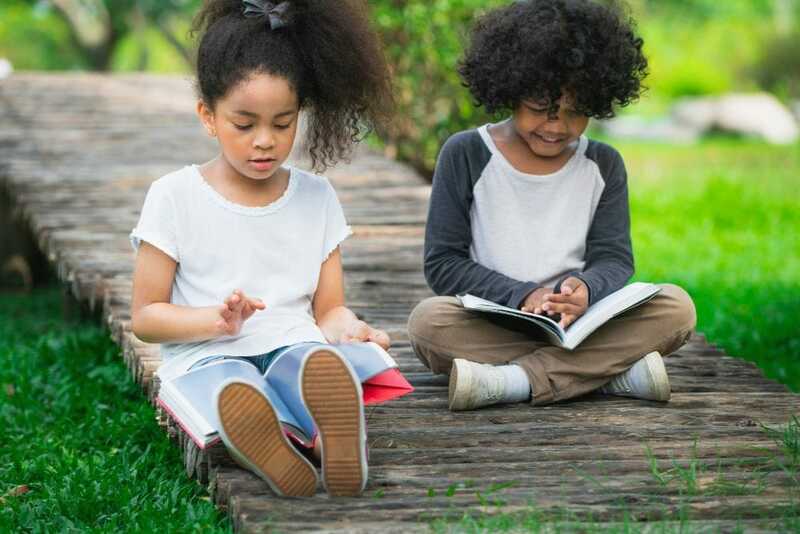 Awareness of reading etiquette and behavior: Your 10-year-old should be aware of what makes a “good reader.” They have full knowledge of how to use books and apply their knowledge to their reading. They can also read silently. If possible, get them a library card to put this to the test. Completing short novels: Although they always add to the experience, your 10-year-old no longer needs books that are full of illustrations. They’re able to read short novels with minimal imagery. They can visualize what they read and will develop impressive vocabularies. Understanding what they read: 10-year-olds don’t need what they read spelled out to them. They’re able to understand the meaning of what they’ve read, and make their own interpretations. You can now introduce them to more complex stories. Discuss what your child reads to encourage critical thinking. Analyzing and summarizing: Your 10-year-old can analyze different perspectives of what they read. They’re also able to formulate their own critiques and will retell (in their own words) what they’ve taken away from the book. They can summarize stories efficiently. As above, get them talking about the books they enjoy. Understanding different formats: Books are not the only things your 10-year-old can make sense of. They can understand stories in different formats, like audio, video, email, websites or written instructions. Don’t be afraid to introduce them to other story formats, like podcasts for example. Comprehension of different genres: Your 10-year-old can read and understand all sorts of stories, from fiction to poetry to biographies. Giving them a wide range of stories to enjoy will be a big help. Identifying parts of a story: 10-year-olds have no problem grasping different elements of stories. This includes time, place, plot, conflict, climax, narrative and resolution. Now’s a great time to introduce them to exciting genres like fantasy, adventure, mystery, and science fiction. Are you ready to go on a book shopping spree? Here are 19 books your child will probably enjoy and benefit from. 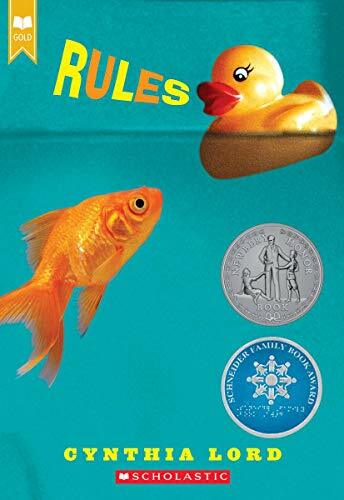 This Newbery Medal winner and New York Times bestseller is based on true events. It’s narrated by Ivan — a gorilla who has spent 27 years in a glass enclosure at a mall. He is used to humans and doesn’t miss home at all. Everything changes when he meets Ruby, a baby elephant who was taken from her home. Her arrival forces him to rethink his life and nature. Often, children aren’t aware of what we put animals through. This moving story will give your 10-year-old a fresh perspective on animals, and nature. In this book, a lonely orphan named Nan has no choice but to do tedious, unrewarding work as a chimney sweep. After she gets stuck in a chimney fire, she wakes to find she’s unharmed and no longer alone. A golem has joined her. Bonding because they’re outcasts, Nan and the golem come to rely on each other. It’s a beautifully written tale of an unlikely friendship. Your child’s imagination will spark, and they’ll be able to explore what friendship means. This awesome graphic novel is a Newbery Honor Winner and a New York Times bestseller. It’s a firm favorite in children’s literature. It follows 12-year-old Astrid, who does everything with her best friend, Nicole. Their friendship takes a bit of a knock when Astrid chooses roller derby and Nicole goes for dancing instead. Astrid now has to balance her new passion, deteriorating friendship, and struggles with school. This coming of age story is an excellent blend that speaks directly to kids. It touches on friendship, popularity and following your heart. 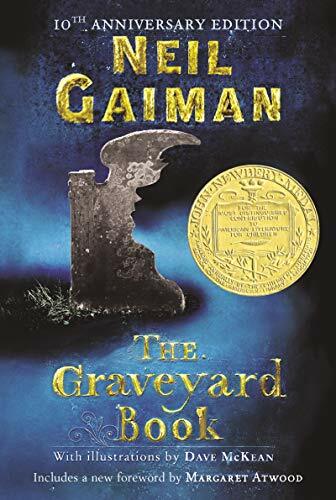 I doubt Neil Gaiman needs any introduction. It just so happens that he has struck again. Odd is a young Viking who loses his father in a raid. After he gets hurt, he escapes into the woods. There, he finds (and frees) a trapped bear, not realizing that he’s actually freeing a Norse God. With new and powerful friends, he helps restore balance to this world and Asgard. 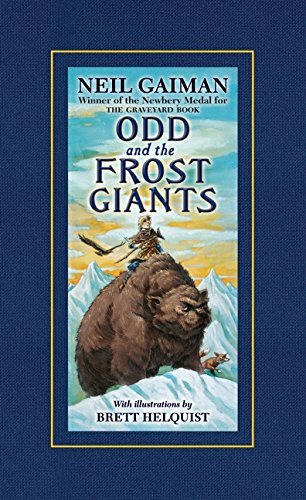 This imaginative story will introduce your 10-year-old to some of the world’s favorite legends. It also covers themes like loss, survival, and kindness. 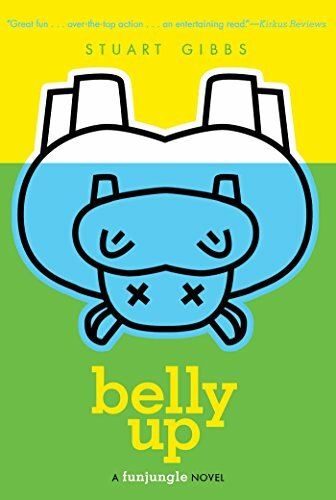 This fun mystery follows Teddy, a 12-year-old who believes that Henry the Hippo has been murdered. The zoo says that Henry died of natural causes but Teddy isn’t buying it. Along with his friend, Teddy decides to solve the mystery. The more they dig into it, the more danger they find themselves in. 10-year-olds will enjoy trying to solve this mystery before Teddy does. It’s fun, funny, and exciting. Here’s a cute story that’s bound to put a smile on your 10-year-old’s face. It’s a simple adventure that’s easy to follow. Gladys is an aspiring chef. Her disapproving parents (who love junk food) ban her from the kitchen and cut off her allowance. She seizes the opportunity to get them back when she’s mistaken for a food critic. She’s invited to write reviews for the most popular newspaper in the world. The only way she can accomplish this would be sneak into New York City. She also has to hide her identity. This graphic memoir is based on the author’s childhood. It’s a New York Times bestseller. 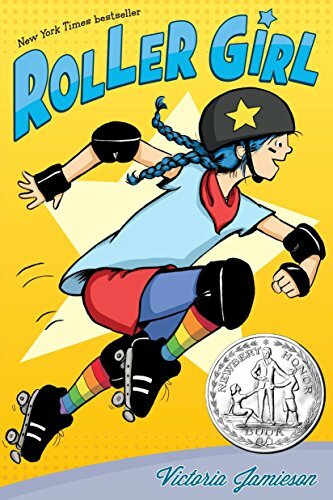 Raina wants to be an ordinary sixth-grader, and she is, until an accident happens. While on a girl scout trip, she falls, severely damaging her two front teeth. From then on, she has to battle braces, surgery, unflattering headgear, and even false teeth. Life becomes even more chaotic when an earthquake hits, she notices a boy, and her friend betrays her. Your 10-year-old will find this charming tale to be relatable. James Patterson has written another winner, and your child will be captivated by this exciting new adventure. It follows the Kidd siblings, who have grown up following their adventurer parents around the world. On one trip, their parents vanish while on the job. 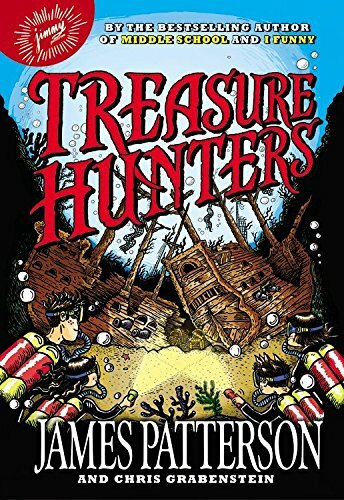 The kids are plunged into a hunt for the most valuable treasure yet: their parents. The siblings work together to fight pirates and escape an evil rival. They must also follow clues to solve the mystery of their parent’s disappearance. 10-year-olds will broaden their worldview with this story of disability and convention. 12-year-old Catherine can’t have a normal life because her family revolves around her autistic brother’s special needs. She’s tried to teach him the rules of normal human behavior, to no avail. When she meets two new friends, she learns that she is the odd one out. Her idea of “normal” is challenged, and Catherine has no choice but to see her brother in another light. Here’s another one by Neil Gaiman. It’s so good I can’t leave it off this list. It’s the only book to have won both the Newbery and Carnegie medals. Bod would be a normal boy if only he didn’t live in a graveyard. He is raised by ghosts and has a supernatural guardian. He has many adventures in the graveyard but he can’t ever leave it. If he does, he is in danger from a man named Jack, who killed Bod’s family and wants to finish the job. It’s a feast for your child’s imagination and will show them the meaning of courage and family. Chase loses his memory after he has a big fall off a roof. 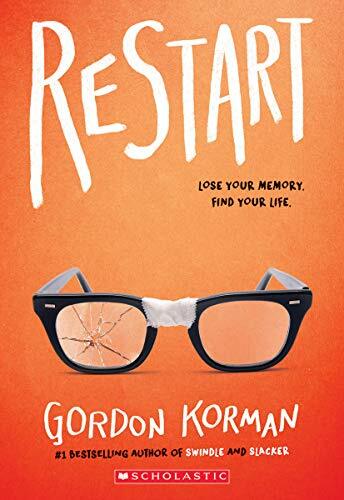 He wakes up in the hospital and has to relearn everything about himself. He returns to school and is unsure of why he’s a hero. When it dawns on him that he’s been given a fresh start, who he was before no longer matters. All that’s important now is who he will choose to be. 10-year-olds will love Chase’s journey of self-discovery and redemption. It’s inspiring, mysterious, and fun. This one has been a staple in my personal collection since I was a child. 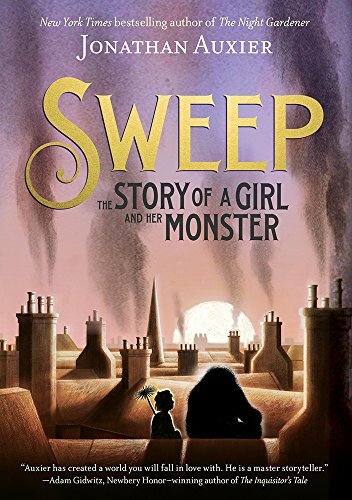 It’s a Newbery Medal winner that will charm your 10-year-old’s soul. They’ll be thrilled by this sci-fi-fantasy adventure. 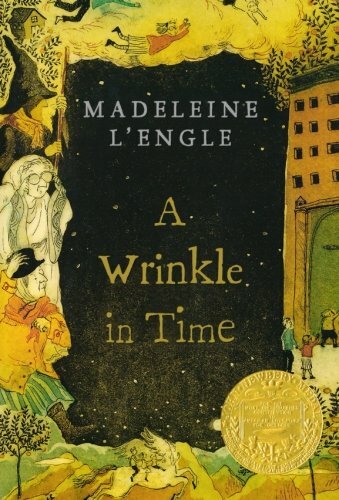 Meg and Charles have to travel through time and space to find their father, who disappears midway through an important scientific discovery. With the help of three odd guardians, they set out to save their dad from a darkness that threatens to overtake the universe. Sophie isn’t keen on moving to a farm and feels out of place when she arrives. Her world is turned upside down when she discovers that the chickens have telekinetic powers. Sophie takes a liking to them and takes it upon herself to care for them. When a local farmer tries to steal the chickens, Sophie has to protect them (and keep their powers hidden). The story is told in letters, to-do-lists, and other tidbits. It’s the perfect example of how not all heroes wear capes. 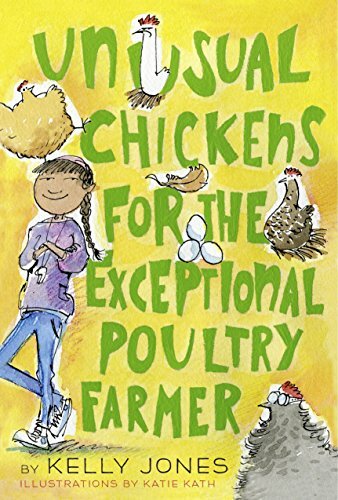 10-year-olds will enjoy how ridiculous and fun the concept is, and are guaranteed to root for Sophie and her silly chickens. Katherine Applegate has written another beautiful story. This one speaks of family and friendship. 10-year-olds can learn a lot from this inspiring, warm tale. They might relate it to it too. Jackson’s family falls into poverty again and he’s not looking forward to the struggle. 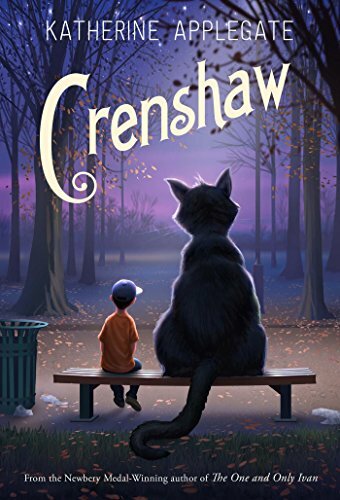 To cope, Jackson creates Crenshaw, a giant, exuberant (and imaginary) cat. Could Crenshaw help his family, even though no one else can see him? 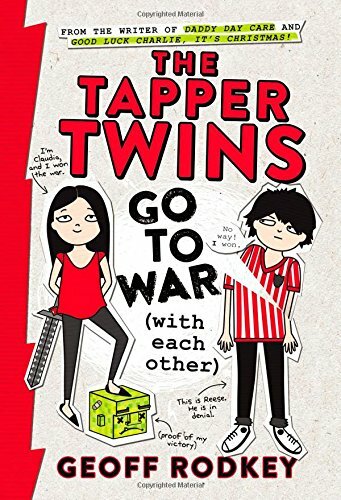 This story of sibling rivalry is told through imagery from their lives. 12-year-old twins, Claudia and Reese, are opposites. One thing they share is their determination to win their ongoing prank war. When their battle goes a bit too far, the two have to reconsider why they’re fighting. Contemplating what’s more important to them, they have to decide if winning means more to them than each other. It’s the first in a series, so there’s more if your 10-year-old loves it. They’ll laugh out loud reading this one. Written by the beloved actor Jason Segel, this is an inspiring story of conquering fear. It’s not too scary though. In fact, it’s as funny as it is spooky. Our hero, Charlie, has a few problems to deal with. His father married a witch and now he has to live in her spooky mansion. He doesn’t sleep well because he keeps having nightmares. 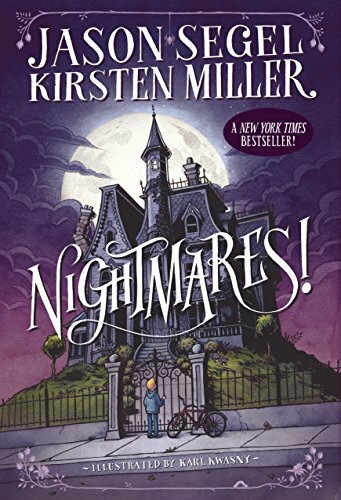 When his nightmares become real, he has to face his fears and put a stop to it, lest he succumbs to them forever. 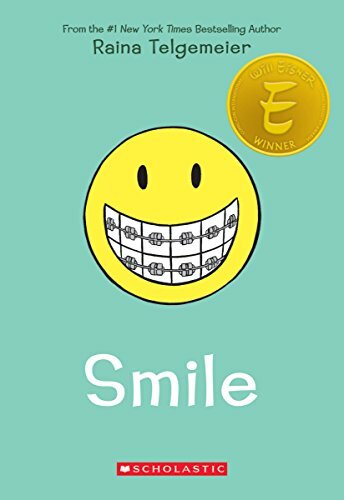 This book has a powerful message about courage that 10-year-olds will appreciate. 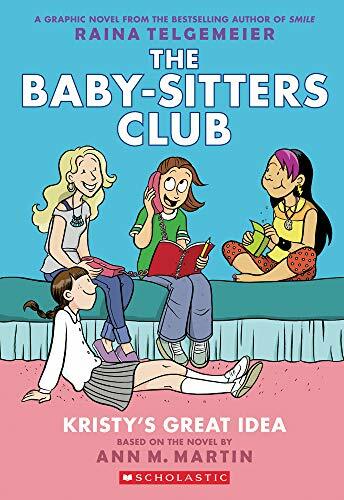 This full-color graphic novel adaptation of the Baby-Sitter’s Club is a New York Times bestseller, adapted by Raina Telgemeier, author of “Smile”, listed above. Follow four friends as they face the challenges that come with being babysitters; from grumpy toddlers to frightening neighbors to prank calls. They also have to manage their home and social lives, but they always have each other’s backs. 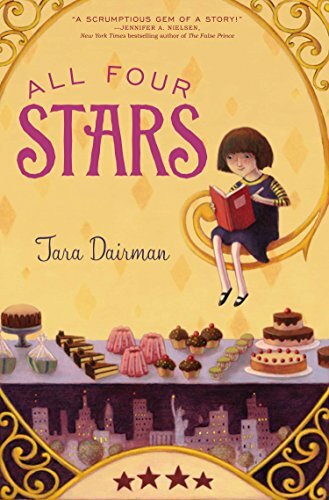 This is a sweet, colorful story of friendship that young girls especially will enjoy. It’s comforting and humorous and sure to make your child smile. 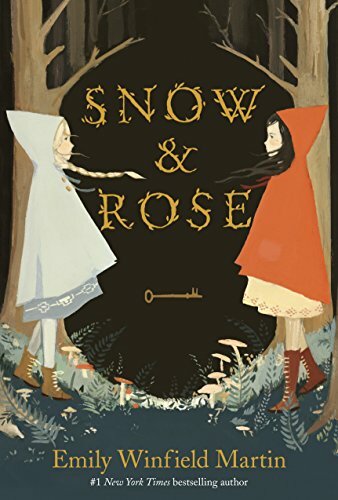 If your 10-year-old is a fan of fairy tales, they’re bound to love this modern retelling of a little-known story, “Snow White and Rose Red”. Snow and Rose aren’t aware that they’re in a fairytale. After their parents disappear, they must venture into the enchanted woods to break a series of curses. This book has striking artwork and relatable characters. 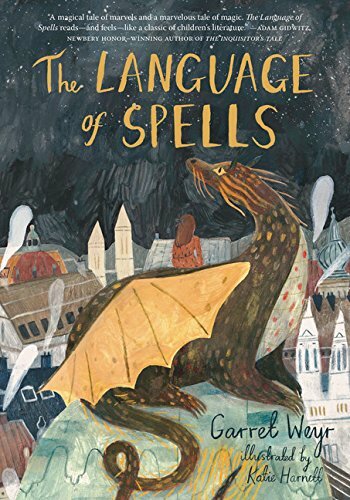 The story of family, magic, and courage is sure to captivate your 10-year-old’s imagination. Last, but certainly not least, is this exciting tale of a young girl and her dragon friend. Grisha is a dragon who lives in a world where people have forgotten how to see him. Maggie is a little girl who can. Magic chooses both of them to join forces and solve a dark mystery that troubles their town. They’re inspired to figure out what happened to all the rest of the dragons. This rich story is funny, heartwarming, and exciting. 10-year-olds will love the unlikely friendship, mystery, and imagination. Each of these books is highly acclaimed and well worth reading. My favorite, though, hands down, is The One and Only Ivan. It’s a beautifully written story with a powerful message. 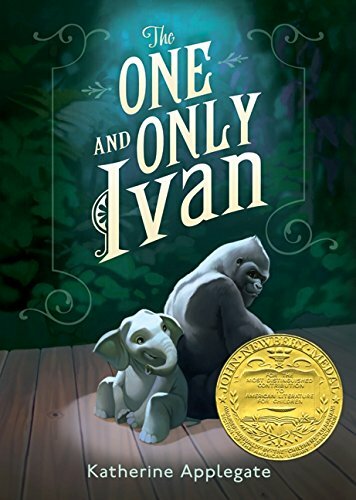 10-year-olds won’t be able to resist the charm of it, and they’ll love Ivan for everything he is. It’s based on the real Ivan, and they’ll have fun digging deeper and learning all there is to know about him. It’s the perfect book to get your child started in more complex themes. Ivan is a great talking point, and your 10-year-old will enjoy expressing their opinion. Which of these books is your favorite? Which books do you think I should add to this list? I love hearing from you, so let me know your thoughts in the comments.